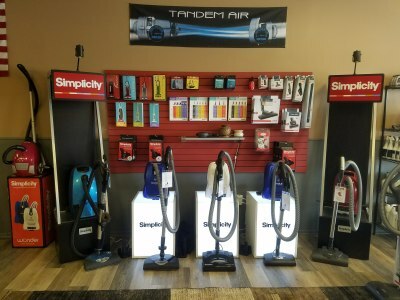 check out our quality made vacuums like Simplicity and Riccar which are made right here in the USA. We also carry brands like MIELE, ORECK, BISSELL, ROYAL, DIRT DEVIL and more! and parts center for ALL makes of VACUUMS, SEWING MACHINES, AND SHAMPOOERS. We do FREE estimates on all makes of shampooers. We are a warranty service station for BISSELL SHAMPOOERS. Servicing on shampooers start at $39.99. 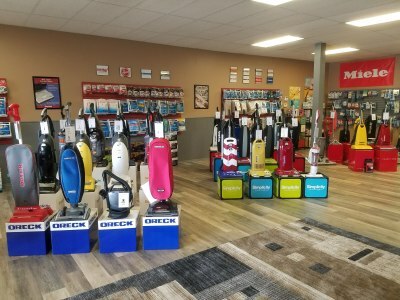 We do FREE estimates on all makes of vacuums. We are a warranty service station for SIMPLICITY, RICCAR, MIELE, ORECK, BISSELL, and EUREKA. Servicing on vacuums start at $29.99 which will include a new belt and a new bag on most models. We do FREE estimates on all makes of sewing machines. Servicing on sewing machines start at $39.99. Sewing machines services are GUARANTEED.